Budget conscious travellers, couples and families on holidays will enjoy the Seashell at Momi Resort, which is located only 45 minutes from Nadi international airport and at the entrance to the Coral Coast, Fiji. The coral coast accommodation provided by the Seashell @ Momi is one of Fiji's best. It provides a real value for money option with the choice of quality hotel rooms and backpacker lodge rooms. The tranquil location right on the water's edge makes the Seashell @ Momi Resort accommodation ideal for holiday makers of all ages. The Seashell @ Momi Resort specializes in diving and surfing, as well as featuring an excellent restaurant, bar, boutique, games room and nightly entertainment. 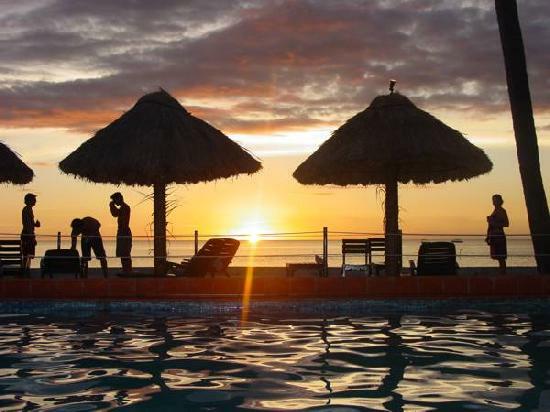 The many water activities at the Momi Resort includes surfing, diving, fishing, water skiing and swimming. If you love surfing you can take a tour to some of the World famous reefs such as Cloudbreak, Wilkes, Desperation and Lighthouse. For diving enthusiasts the internationally acclaimed Scuba Bula PADI team instructors can organised snokelling at our underwater coral gardens including picnic lunches. On land you can partake in a game of galf at the famous low tide golf course, tennis, horse riding, reef walking, shell collecting, guided nature walks and shopping trips to Nadi town.